No reviews yet for this trip. Browse other reviews below for Thomson Family Adventures. 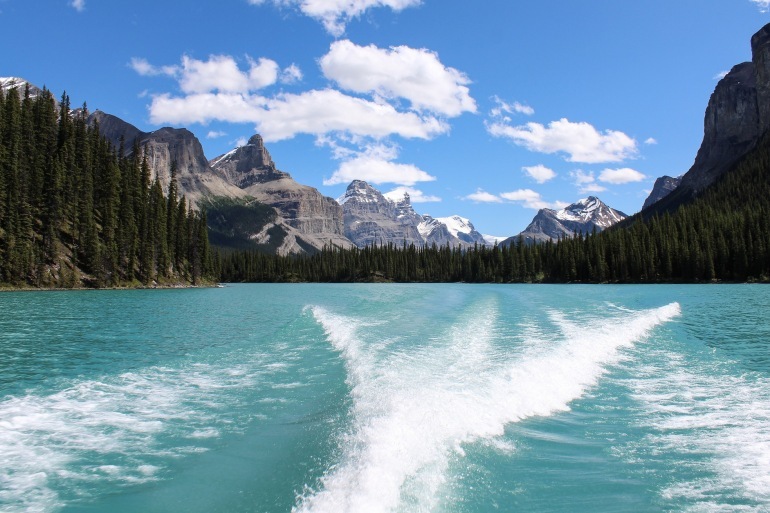 Arrive into Calgary where you’ll join your group for the transfer to the heart of the Kananaskis Valley, situated on the banks of the Bow River. Meet your guides and new traveling friends over a Welcome Dinner and trip orientation. Rise and shine to the stunning peaks of the Canadian Rockies and a pristine wilderness begging to be explored. Covering nearly 2,500 acres, the sprawling Kananaskis Valley encompasses an incredible diversity of habitats. During your hiking, horseback riding, and bicycling adventures, keep your eyes peeled for any (or many!) of the wildlife species that make their home here—black and brown bear, bighorn sheep, elk, coyote, mountain goat, moose, weasel, cougar, and many more. Slicing through the heart of the Canadian Rockies, and linking Banff and Jasper National Parks, the Icefields Parkway is one of the world’s most spectacular road trips. Every bend in the road is sure to elicit a non-stop series of oohs and ahhs, whether over a bejeweled turquoise lake rimmed in pines, giant glaciers hanging from the mountainsides, or a family of bears enjoying the roadside bounty of local berry bushes. Head for the dazzling Columbia Icefields, which drapes across the North American Continental Divide and covers 125 square miles. An exciting ice-walking adventure on the Athabasca Glacier offers the chance to peer into mini ice canyons and crevasses while learning the secrets of eons-old glacial formation. Spend two unforgettable days actively exploring the pristine, piney landscapes of Banff, Canada’s oldest national park, and Yoho, whose Cree name literally means “awe” and “wonder.” Take your choice of river rafting rides through non-stop rapids, surrounded by towering canyon walls. A series of hikes showcases ancient forests, snow-capped peaks, meadows carpeted in wildflowers, and sky-reflecting lakes. Stand on the shores of Lake Louise against a backdrop of breathtaking mountains majesty, and soak in the warm waters of the hot springs that have drawn worldwide travelers to this remote spot on the map for 125 years. After a fond farewell, a Thomson Family Adventures representative will help with your transfer to the airport in Calgary for your international flight home.